Vivek Oberoi and Salman Khan's infamous spat has been etched in the history of Bollywood. It's known to all that the two Bollywood actors had indulged in an ugly banter over their former lover Aishwarya Rai Bachchan in the past. Things went worse when Vivek had called a press conference to reveal about how Salman was threatening to kill him. But, Salman had firmly denied those allegations. However, Vivek had later on many talk shows expressed how he regrets calling the press conference and would want to make amends with Salman. The actor further revealed that how this controversy had cost him a huge deal in Bollywood and how he had became an outcast in the industry overnight. This conference made Vivek Oberoi Salman's fierce name and the rest they say is a history. A decade to this incident, Vivek Oberoi freshly took a jibe at Salman and we wonder what Bhai has to reply over the same. Vivek who is busy promoting his upcoming film 'PM Narendra Modi' which is a biopic on our current Prime Minister, in an interview to an entertainment portal asked a tricky question to Salman Khan. In one of the segments, he was asked if Salman was given the 'truth serum' what would he like to ask from him. To which Vivek had instantly stated, "Do you really believe in forgiveness?" 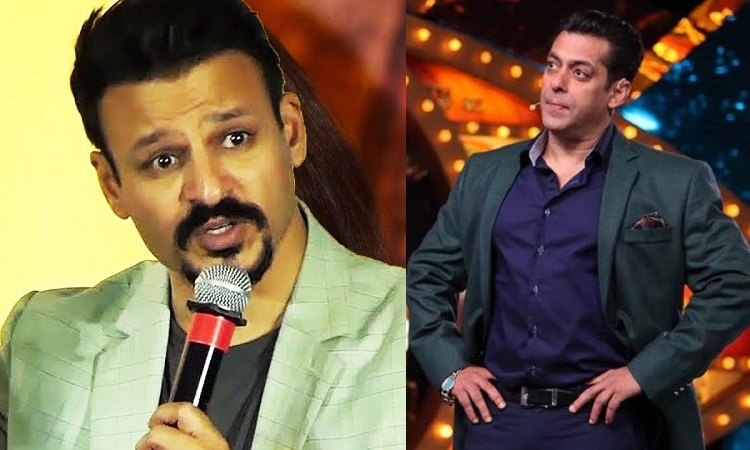 Going by Vivek's response, it seems to us that the actor has still not gotten over the incident and would definitely want to make peace with Salman. But, we are eagerly waiting if Bhai has a reply to this. What do you think? Will Salman respond to Vivek's question? Let us know in the comment section below.